Can I just drown myself in a sea of corn and not come up for air for the next 9 days? 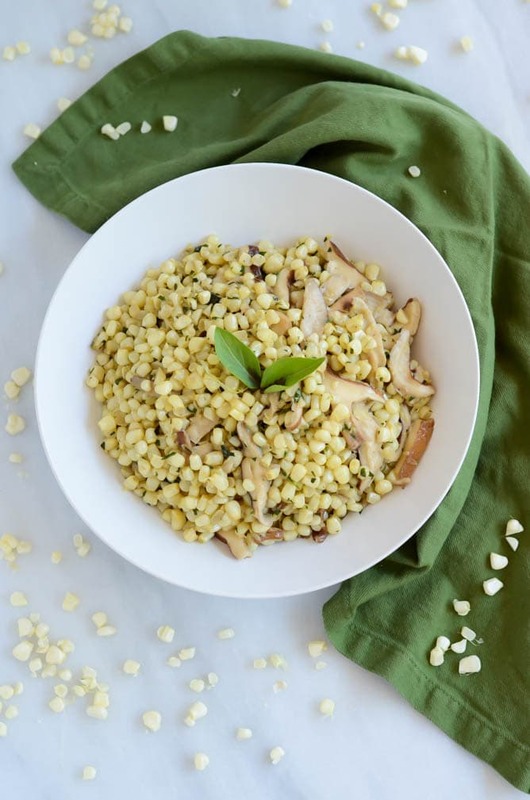 Guys, the stress is real right now, and all I want to do is sit in a corner in my PJs with a giant bowl of Sauteed Corn with Fresh Tarragon and Shiitake Mushrooms in my lap and my cell phone turned off so I can’t answer phone calls, texts or emails. Is that too much to ask? 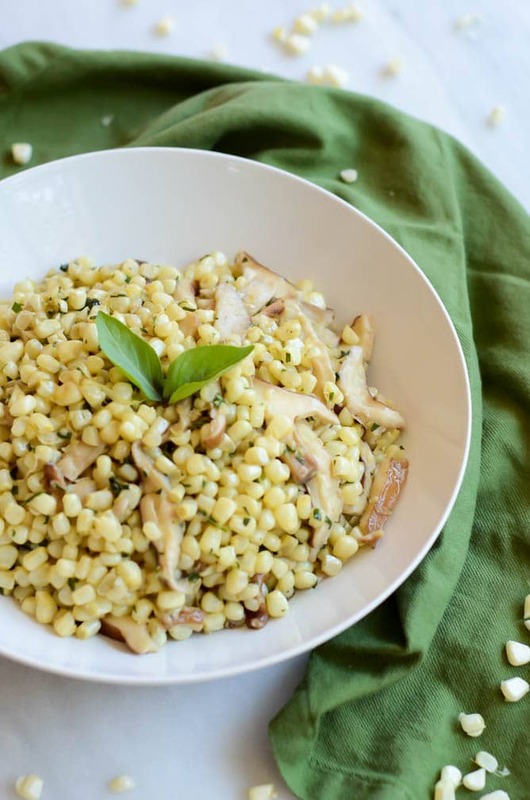 So let’s get into this Sauteed Corn with Fresh Tarragon and Shiitake Mushrooms. It’s actually a very fitting time for me to post this recipe (it’s been in my back pocket for a while), as we’re just getting back from a trip to Napa and this dish was inspired by one my Dad and I had at Ad Hoc (one of Thomas Keller’s restaurants in Yountville) back when I lived there. It was part of their prix fixe brunch menu and, as soon as we tasted it, we knew we had to recreate it at home so we could enjoy it any time we wanted. You know what I love most about this recipe? It is soooo simple but sooooo good! Like, forehead slap, “Why didn’t I ever think of this flavor combo before?” good. After all, there are only four ingredients and it takes less than 20 minutes to make. Now how’s that for a delicious side dish? 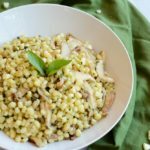 It’s also the perfect dish for summer and all that comes with it: barbecues, dinner parties, block parties, easy weeknight meals that don’t require you to stand over the stove for long periods of time, etc. I can guarantee you that no matter who you serve this to (as long as they like mushrooms) will fall in love and ask you for the recipe. Lucky for you, you can just send them here to the blog! We cut some corn kernels off their cobs. We sauté them in butter (I highly recommend using Kerrygold here) with fresh tarragon and shiitake mushrooms until the corn starts to get those tasty little golden edges. We serve in all its deliciousness. 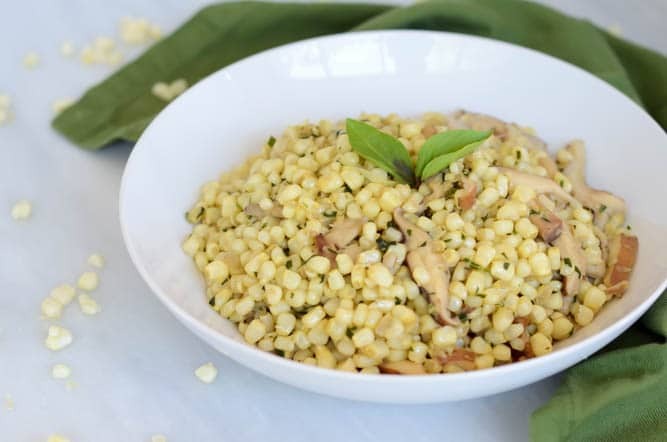 A delicious, easy side dish featuring fresh summer corn, tarragon and savory mushrooms. Melt butter in a large sauté pan over medium-high heat. 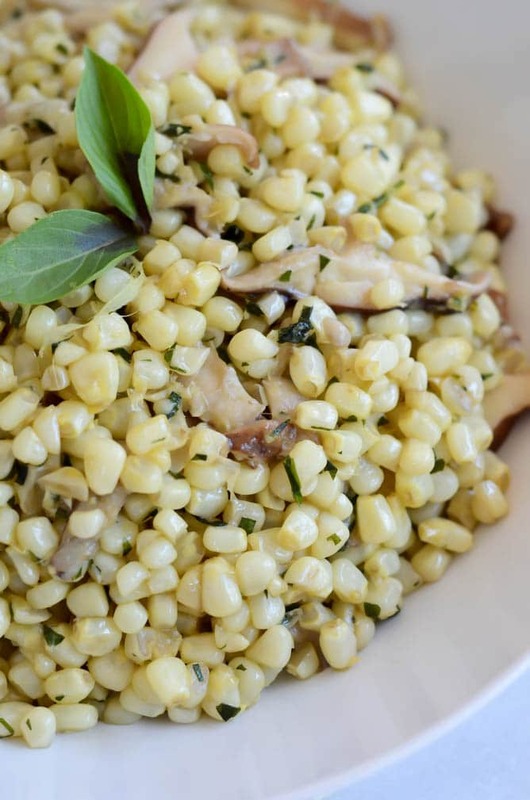 Once butter is melted, add corn, mushrooms and tarragon, stirring to coat. Saute over medium-high heat, stirring occasionally, until corn turns lightly golden. Delicious and easy to make. Perfect compliment to beer can chicken.